Some say that the future belongs to electric cars and natural resources like oil is smaller from year to year probably are right. Unfortunately, the market entry of such a vehicle is expected to leave. Of the several models launched by the different corners of the world, none managed to persuade the public to adopt the media. Most popular one is the hybrid Toyota Prius, which can be seen on our roads, but it does not relieve you of visits to the gas station. Mitsubishi i-Miev a name is not unknown to those who follow the automotive industry, but once the newness of the company’s official announcement regarding the future of producing electrical car. 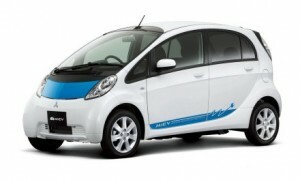 With Li-ion batteries and an electric motor of 47 hp, i-Miev will provide an autonomy of 160 km. Rather than pass on to a petrol pump to refuel, with electric machines will have to stop for 30 minutes at a special charging station rapidly. If so choose “food” from a regular outlet with 220 V, charging time of batteries increased to 7 hours. Although it is a small compact class, Mitsubishi i-Miev can comfortably accommodate four people and is equipped with air conditioning. For outdoor lights are LEDs used, the optimal solution for low power at present. With a very nice appearance and specifications rather than appealing to those who are daily commute shorter distances, Miev I had to have a problem or even more. First car costs about $ 45,000, an amount that you can always return your purchase to a decent sports car. Secondly, Mitsubishi will initially build only 1,400 units will be bought this year only by companies and government institutions in Japan. Sales to individuals will start in April 2010. 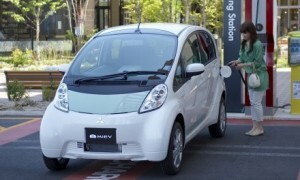 The good is that Japanese government will provide a grant of $ 14,300 for each i-Miev, but international sales are still uncertain at this time. It is assumed that the series will decrease while the price of the car, but we are still not a solution acceptable to the ordinary citizen. For more details and pictures go to link the source.